A credit freeze is something used by victims of identity theft to prevent new credit accounts being opened in the name of the victim. When the borrower is ready to open any new line of credit, it will be necessary to reach out to all the agencies the credit freeze was initiated with in the first place. May 23, 2018 - How does a “credit freeze” affect your FHA home loan application? 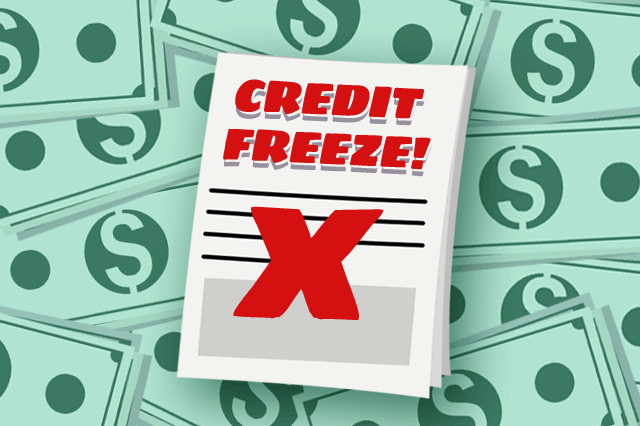 A credit freeze is something used by victims of identity theft to prevent new credit accounts being opened in the name of the victim; a recent CNN report by Katie Lobosco mentions Congressional action to make the credit freeze process free of charge. That CNN report raises awareness of the credit freeze option in the wake of hacking and stolen personal data, but what does it mean for borrowers who want to apply for a new FHA home loan, refinance loan, or reverse mortgage? A credit freeze is something negotiated between the consumer and the credit rating agency; a push to make this procedure free came after a significant hack on the credit agency Equifax in 2017 that exposed more than 140 million accounts to hackers and other unauthorized parties. Credit freeze procedures are only effective for the credit agency you work with, and there are three; Equifax, Experian, and TransUnion. To completely freeze credit, the consumer must reach out to each agency directly. One credit freeze does not apply to all agencies. The credit freeze protects the borrower, but it effectively prevents the borrower from opening a new line of credit themselves. And when you are considering a new home loan or refinance loan application, a credit freeze will stop your loan from going forward. The bottom line for credit freeze activity is that when the borrower is ready to open any new line of credit, it will be necessary to reach out to all the agencies the credit freeze was initiated with in the first place. Like the original process, one request to lift the credit freeze isn’t enough-you will need to contact each credit reporting company to negotiate the procedure. The need for a credit freeze indicates that a borrower may have a lot of disputed credit activity to deal with. Those considering a new home loan will need to carefully review their credit reports, discuss the progress of any disputes or investigations over identity theft and related issues with the agency or agencies handling the case. It will be necessary to make sure these issues are resolved or have a pending resolution before trying to work with a new lender. Your loan officer will likely need to see plenty of documentation of these issues in order to start processing the mortgage; state law, lender standards, and other regulations may affect how you are to begin using your newly “unfrozen” credit once more. Those who are victims of hackers, scammers, or identity theft issues should report any unauthorized activity on their accounts immediately; you may have to file multiple complaints to law enforcement as well as the credit bureaus.